Even the politically naÃ¯ve can tell that the tempo of political discourse is gradually scaling up with gripping tension and the reason is not far-fetched. The current dispensation has begun to wind down, with less than two years to the next election. But at the epicentre of it all is former Vice President Atiku Abubakarâ€™s ambition â€“ a presidential bid subtly launched almost immediately after the elections of 2015. He started by making it an issue-based subtle campaign. During some of the many speeches delivered at different times, he reignited the restructuring debate and today, it is the numero uno political issue in the country. Quite unexpectedly, the tempo of Atikuâ€™s journey to 2019 changed dramatically in the week that just ended, when the Minister of Women Affairs and Social Development, Senator Aisha Jummai Alhassan, not only openly declared her loyalty to Atiku and wished he would be president from 2019, when she paid him a Sallah visit. Later in an interview with the Hausa Service of the British Broadcasting Corporation last Wednesday, she also stated for the record that she would support his presidential bid, whether or not her current principal, President Muhammadu Buhari, seeks re-election in 2019. Nevertheless, she still claimed to be loyal to Buhari too, somewhat standing astride between both men. â€œAtiku is my godfather even before I joined politics, and again Baba Buhari did not tell us that he is going to run in 2019. And let me tell you today that if Baba said he is going to contest in 2019, I swear to Allah, I will go before him and kneel and tell him that â€˜Baba I am grateful for the opportunity you gave me to serve your government as a minister. But Baba, just like you know, I will support only Atiku because he is my godfather.â€™ (That is) if Atiku said he is going to contest; as we are talking now Atiku has not said he is going to contest,â€ she said in the interview. With her comments on her preferences ahead of the 2019 presidential election, she has stirred up a hornetsâ€™ nest of political argument and tension. But little did Alhassan know that her Sallah visit was going to unsettle the political space, stir avoidable discourse and ultimately set the 2019 presidential campaign in motion. There have since been many interpretations to Alhassanâ€™s statement, chief of which is that there could be more of such men and women in the system that could pull the strings for the presidential hopeful, whenever the chips are down. Before she decided to push that political line, Alhassan, no doubt, knew she was touching a highly controversial issue. The 2019 presidential election was always going to be a potentially explosive topic. And Alhassan had been widely rumoured to be supporting Atikuâ€™s presidential bid. The rumour heightened after a video of her visit to the former vice president during the last Eid-El-Kabir celebrations went viral. In clever statements, visibly pushing the envelope of political aspiration in their common platform, just after Alhassanâ€™s controversial remarks, Atiku accused Buhari of side-lining him after riding on the back of his influence and resources to win the 2015 presidential election. The former vice president spoke in an interview with the Hausa Service of the Voice of America. Atiku said the Buhari government had achieved some success in the fight against the Islamic terror group, Boko Haram, but regretted that the insurgents were still active in many parts of his native North-east, â€œkilling our people and many local government councils in Borno and Yobe are under their firm grip. People cannot dare go back to their dwellings. It was a clear attempt to explode the governmentâ€™s consistent claims of significant success in the antiterrorism war. Head of Atiku Media Office, Paul Ibe, followed up with a statement yesterday saying, â€œHis Excellency, Former Vice President Atiku Abubakar stands by what he said. There is no point beating about the bush, how can anyone equate a private meeting with a meeting of party organs? â€œWhen was the last time the party organs held any meeting? Has the Board of Trustees or what they call the Eldersâ€™ Council been inaugurated? When was the last time stakeholders and party leaders invited him to a meeting? The Wazirin Adamawa spoke as a lover of this country, democracy and the party. Atiku and Alhassan kicked a hornetsâ€™ nest, but it was the formerâ€™s responses that seemed to touch the final limit of APCâ€™s patience. The party accused Atiku of making misleading claims about his contributions to the partyâ€™s 2015 victory. The APC national vice chairman for the North-west, Alhaji Inuwa Abdulkadir, who made the allegation during a press conference on Friday in Abuja, also told Alhassan to resign from the government for alleged divided loyalty. Kaduna State Governor Nasir el-Rufai joined the developing verbal war over 2019, saying on Friday that Alhassanâ€™s remarks against the presidentâ€™s second term are unsurprising because she never believed in the Buhari ideals from the beginning. Abdulkadir said Atiku contributed to APCâ€™s success like other leaders of the party and advised him against comments that give the â€œimpression of a crackâ€ in the ruling party. On his part, El-Rufai stated, â€œThe Minister of Women Affairs, Jummai Alhassan, had been in the student union. In the APC, she has never been in the Buhari camp. She did not support our candidate during the national convention. She didnâ€™t vote for Buhari during the primaries. But out of the largeness of the presidentâ€™s heart and to encourage women in politics, he felt that even though she was never a supporter of his politics nor his beliefs or ideologies, but because of what she had tried to do in Taraba, he felt she had earned being nominated as a minister. 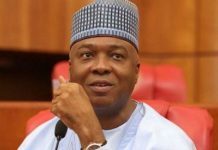 Despite the comments of the APC apparatchik, the explosive atmosphere that pervaded the country last week, a week in which the economyâ€™s exit from recession was announced, and effectively suppressed the good economic news, was an indication of intense internal struggles within the ruling party. There are indications that the contending forces in the APC are mobilising their support bases, aligning, and realigning ahead of the presidential contest. A close ally of Atiku, who did not want his name mentioned because of the sensitive nature of the issues, said the support for Atiku across the country was massive. He said most of the former governors that served when Atiku was vice president, from 1999 to 2007, were behind him. He said many big names, including prominent members of the APC and the opposition Peoples Democratic Party, and former governors in the North-central, South-south, and South-east were backing Atiku. The deputy national publicity secretary of APC, Timi Frank, also joined the fray at the weekend. Frank cautioned the presidency not to fall to the antics of the governor of Kaduna State because of his “record of betraying all his benefactors”. In a statement in Abuja on Saturday, Frank stated that what Alhassan said was out of conscience and honesty and did not mean disrespect for Buhari. Despite not currently holding any political office, Atiku still has a loyal support base and members of that base are widely spread. His support base has its origin in the Peoples Democratic Movement (PDM) inherited from his political benefactor, Late General Shehu Musa Yarâ€™Adua. He however built on it during his eight-year in office as vice president, with a majority of PDP governors between 1999 and 2007 belonging to that fold. Even though some of his supporters now aptly fit the description of â€œyesterdayâ€™s menâ€, this does not in any way discountenance the fact that he still maintains a coterie of solid supporters across the political, religious, and ethnic divides and practically all of them are as loyal as Alhassan. A quick look at some of these supporters would suffice, even though a majority of them would not like to be mentioned given the sensitivity of their current posting or the political import of such a move at this time. The first female Attorney-General and Commissioner for Justice in Taraba State before retiring as the Registrar of Federal High Court, Abuja, Senator Aisha Alhassan is a strong political gladiator in Taraba. Her political sagacity is evident in the many battles she had fought in the state, a majority of which she won. From Senator Anthony Manzo, to the late governor of Taraba State, Danbaba Suntai, another former governor of the state, Jolly Nyame, Alhassan battled many political heavyweights and emerged a tested political war veteran. She is a core Atiku loyalist and unapologetic about it. A former Governor of the Central Bank of Nigeria (CBN), Alhaji Adamu Ciroma is currently a member of the PDP and a prominent northern leader with impressive record of public service. In 1979, Ciroma was one of the National Party of Nigeria (NPN) presidential aspirants, who contested the party’s presidential primary, believed to have been sponsored by the Kaduna Mafia, a group of northern intellectuals, serving officers and bureaucrats stationed around Kaduna. He however came third in the primary, behind Alhaji Shehu Shagari and the late Maitama Sule. Ciroma was briefly the secretary of the NPN and later served at various times as Minister for Industries, Agriculture and Finance in the Olusegun Obasanjo government. He however played a major role in the political life of Atiku, when as the leader of the northern elite group that presented a consensus candidate in the 2011 presidential election made it possible for Atiku to emerge the northern candidate ahead of former military president Ibrahim Babangida, former National Security Adviser, Aliyu Gusau and the then governor of Kwara State, Bukola Saraki, the current Senate President. Although Atiku eventually lost to former President Goodluck Jonathan, Ciroma remains his ally. Born on October 4, 1932, Alhaji Lawal Kaita was elected on the National Party of Nigeria (NPN) platform as governor of Kaduna State and was in office between October and December 1983, when the Nigerian Second Republic ended with the coup that brought General Muhammadu Buhari to power. But he continued to be an active and influential politician in the Nigerian Fourth Republic, and was one of the founders of the Action Congress of Nigeria (ACN) party in 2006. And sometime in 2010, he said the north was determined to bring up a president and that if Jonathan forced his way on Nigerians, then the north was determined to make the country ungovernable for him. That statement was generally believed to have been made in defence of Atikuâ€™s interest, especially that the North then was fighting Jonathanâ€™s eligibility to contest the 2011 election. He is very close to Atiku. A former Nigerian Ambassador to Switzerland and member, Board of Trustees of the All Progressives Congress (APC), Alhaji Yahaya Shagayya Kwande is another staunch supporter of the former vice-president. The about 87-year-old northern leader, has always said at every given opportunity that he is a number one fan of Abubakar. 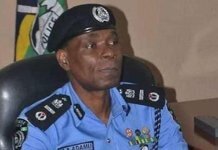 In a recent interview, he said â€œI am a die-hard supporter of Atiku yesterday, today and tomorrowâ€¦I was very disappointed with political hypocrites in Nigeria. I was disappointed in the sense that the people that cheated and misled other people to project Atiku as an evil, are those now benefitting and they know very well that it is Nigeria that is being cheatedâ€¦â€. With this, you need no further education on where he stands. A Political Scientist and product of the first University in Nigeria, the University of Ibadan, Prof Tunde Adeniran saw himself becoming a staff of the United Nations in the mid-seventies and also taught in some American Universities before he took up appointment at the University of Ibadan, where he worked for 20 years before he retired to go into politics in 1998. 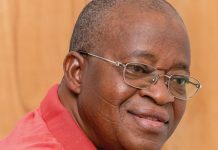 He had served as Nigeriaâ€™s Ambassador to Germany and was the first Minister of Education (June 1999 – January 2001) in the Fourth Republic, where he made success of the Universal Basic Education Scheme. He came out with a policy banning satellite campuses and abolished the discretional list in the admission pattern of universities. It is therefore interesting that a man with such enviable record, political and academic is yet another loyalist of Abubakar. An aspiring National Chairman of the Peoples Democratic Party (PDP) from Ekiti State, the professor comes to the table with a lot of credibility and has remained with Abubakar over the years. 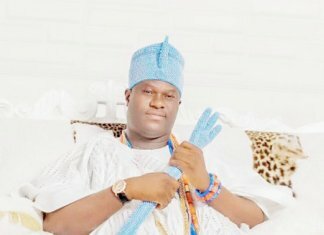 Chief Dapo Sarumi is a one-time powerful politician from Lagos State. In 1991, he contested the Social Democratic Party (SDP) gubernatorial primary but was dis-qualified at the end of the day. Sarumi was the minister for Information during Obasanjoâ€™s first term in office. However, in the late 2000, he was involved in an auto accident, during which two of his personal aides and a couple died. That development turned the tide into an ugly one for his political career and he never recovered therefrom. Yet, he has remained an ardent supporter of Atiku and had used his political group then in Lagos, Primrose to foster the Atiku project. Sarumi remains one of the die-hard fans of Atiku. Hon. Funke Adedoyin was initially the running mate to former Governor Bukola Saraki of Kwara State and now Senate President. But her appointment as Minister of Women Affairs and later, the Minister of Youth by former President Olusegun Obasanjo took her to the federal level. A native of Igbomina in Kwara South Senatorial District,Adedoyin, a known ally of Abubakar in Kwara State, is currently in the House of Representatives. She was believed to have been made minister by Abubakar, who was very influential as vice president during Obasanjoâ€™s first term in office. She is particularly said to have been setting up structures for Atiku ahead of the 2019 elections in Kwara. The National Deputy Publicity Secretary of the APC, Mr. Timi Frank, is another outspoken Abubakar supporter, who has used every opportunity at his disposal to challenge the tide in the APC. He had at different times faced disciplinary committees for anti-party activities, because of the way and manner he has challenged the running of the party. He has spoken at different occasions about the way Atiku was being treated in the party. A former member of the House of Representatives from Ekiti State, Hon. 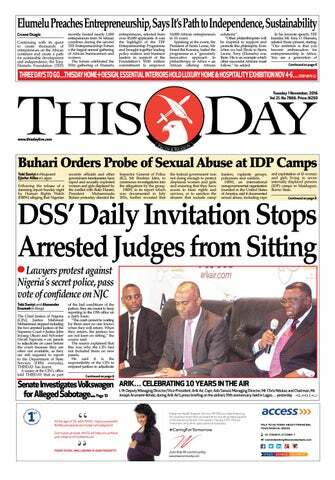 Bimbo Daramola is another silent but strong supporter of Atiku except he has just switched camp as you read this. The governorship hopeful was one of the silent mobilisers for Atiku in the lead up to the presidential primaries of the party in 2014. It is believed that Daramola is projecting his governorship ambition in Ekiti side-by-side with Atikuâ€™s presidential bid and might have been doing his bidding like he did some three years ago. He is a huge Atiku fan. Political pundits have been wondering what options are available for the President in this current situation, particularly with the cacophony of voices calling for Alhassanâ€™s sack or resignation. There is also the emergence of groups drumming support for his re-election and those canvassing for Atikuâ€™s presidential aspiration. One of the options available to the President is to sack Alhassan, and send a strong message to those who might want to toe the same path among cabinet members. That option looks plausible because it could be hinged on the fact that it was necessary to put a stop to the distraction caused by Alhassanâ€™s comments on 2019. But then it could also send an unintended political signal that the President is actually nursing a re-election bid and that he had to act swiftly against Alhassan before her comments that he promised to do only one term put his chances at risk. Another option before the President is to retain Alhassan in his cabinet so as to avoid the unintended political signal that her sack at this time may send. That also has it own implication. It would validate her claim that the president promised to do only one term and send another unintended signal that he would not seek re-election, since she has threatened to resign if he chose to, consequently making 2019 presidential election a free-for-all race. The third option before the President is to effect cabinet reshuffle. Interestingly, this has been on the card since the beginning of the year, but may have been delayed by the medical vacations he embarked upon in the first three quarters. While it was speculated that cabinet reshuffle would be one of the urgent actions the President would take upon his return from London where he went for medical treatment, Alhassanâ€™s comments have now made the timing of such action an issue. There are even insinuations that she is among those that have been penciled down for sack for poor performance and that she may have got wind of her impending sack, thus prompting her to quickly move to create a political explanation for her exit from the cabinet. Should a cabinet reshuffle come up at this time, it is unlikely that Alhassan would survive. Rather than the usual explanation of weeding out under-performing ministers and injecting new blood, political analysts would want to explain such changes as part of 2019 permutations. That is not the signal that a government that is racing against time to deliver on election promises would want to send. The fourth option available to the President is to remain silent as he has done since the news broke. Again, that option could allow the discordant tunes trailing Alhassanâ€™s comments to continue and could also present the President as weak and incapable of taking action on issues affecting his cabinet. Another option is for him to read the riot act to all cabinet members to desist from making political statements about 2019 or risk being sacked. That should have been the fist option immediately Alhassanâ€™s comments went viral. But surprisingly, no official reaction came from the presidency, thereby creating a snowball effect with other political actors wading in, thus setting the 2019 race in motion.